It seems like everyone is talking about bacteria these days – the good kind, that is. Scientists are working feverishly to more fully understand the human “microbiome”, the more than 100 trillion bacteria that inhabit the human body, living on our skin, in our mouth, in our intestines, and for women, in their vaginas. 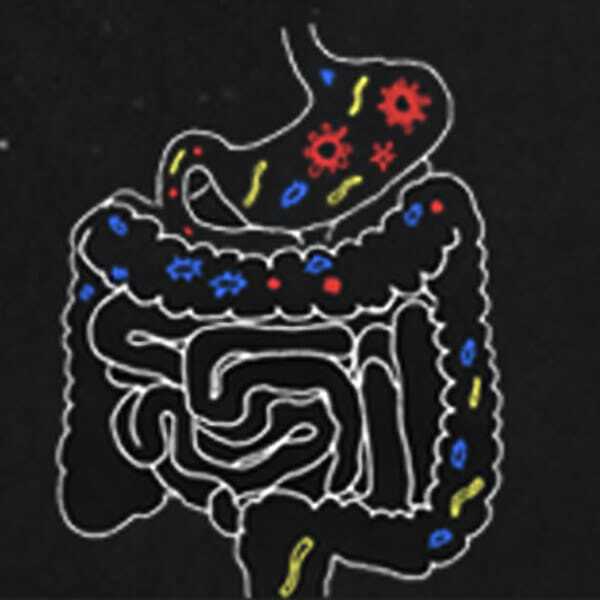 While new discoveries are being made daily, and there is still much to learn, one thing is certain: the composition of your microbiome impacts your health, and the more beneficial bacteria you have in the right places, the better your health will be. With all of this new interest and awareness about the role of bacteria in our health, a common question is: how do we acquire healthy bacteria? It turns out that the process of developing and shaping your microbiome begins before you are born. For many decades, it was believed that the womb was sterile, and that babies are born as a clean slate as it relates to their microbiome. Recent research indicates, however, that babies get their first exposure to bacteria in the womb. Even so, this before-birth exposure provides only a small fraction of the bacteria needed, and the way in which your baby is delivered (vaginal birth or C-section) and your feeding choice (breastfeeding or formula) are huge determining factors in how your child’s microbiome develops. Babies that are born vaginally are exposed to beneficial bacteria in the birth canal; fluid enters their nose and mouth to colonize the digestive system. More vaginal bacteria colonizes your baby’s skin and stays with your baby. Exposure to beneficial bacteria from mom like Lactobacilli and Bifidobacterium help babies stay healthy. These species of bacteria are known to contribute to development of a healthy immune system and keep harmful bacteria from taking up residence in a baby’s digestive system and on their skin. While vaginally born babies are colonized with their mother’s bacteria, C-section babies are colonized with a blend of bacteria from the nursing staff and hospital environment. The reality is that vaginal birth is not possible for all mother and babies. But, in recognition of the importance of vaginal birth for early bacterial exposure, doctors are working on ways to recreate this bacterial exposure as part of C-section deliveries. Bacteria is collected from the mother by placing a piece of gauze inside the birth canal of women giving birth by C-section. When the baby is born, doctors swab the baby with the specially prepared gauze, focusing on the mouth and face before moving onto the rest of their body. This simple procedure has been shown to successfully colonize babies with beneficial bacteria and reduce colonization by bacteria from the hospital environment. Another dose of beneficial bacteria comes from breastmilk and close skin to skin contact Keeping your baby skin-to-skin and breastfeeding are great ways for you and your partner to share healthy bacteria with your baby. Breastmilk assists an infant’s immune system in several ways. During the first weeks of life, your baby’s digestive system is still developing; there are gaps between the cells that create the protective lining of her stomach. Breastmilk creates a tough barrier in the stomach and intestines to keep harmful bacteria out. Exclusively breastfed babies also have a lower stomach pH, this acidic environment makes it harder for harmful bacteria to survive and thrive. A recently published study discovered a link between a special type of sugar (sialic acid) found naturally in breastmilk, gut bacteria and infant growth rate. Researchers divided mice into three groups with the same gut microbes, and all received the same amount of calories, yet those that received sialic acid in amounts comparable to what a child would get from healthy breast milk grew larger than the others. The researchers hypothesize that growth benefits may relate to products created by bacteria as they consume sialic acid. Exclusive breastfeeding gives your baby the most health advantages, even one bottle of formula or any other food neutralizes many of the protective properties. The stomach pH becomes neutral, the protective coating is destroyed and the bacteria population switches to resemble a formula-fed baby. Any breastfeeding, even with formula supplementation is beneficial; the presence of maternal antibodies, reduction in stress hormones and many other benefits remain. Exclusive breastfeeding may not be possible due to past surgeries, abuse or adoption. There are many other ways to share your bacteria with your baby. Holding your baby close, kissing and keeping your baby skin-to-skin are all effective ways to share your beneficial bacteria with your baby. 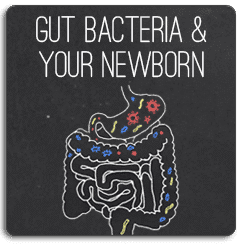 Whether you are pregnant now, or planning parenthood for sometime in the future, we recommend that you consider your child’s microbiome when evaluating birth options and feeding choices. Vaginal birth and breastfeeding helps colonize your baby with friendly bacteria, which sets the stage for a lifetime of good health.